Knit rows 1 - 4 until piece measures between 8 and 12 inches, depending on preference (I stopped at 10"), and you've just finished row 2 of the pattern. Bind off loosely in pattern and tuck in ends. Another very nice and snuggly warm pattern designed by you. Have an enjoyable Thanksgiving. Thanks Susan! I'm sure it's clear by now that I love a nice, fancy, shaped cowl, but sometimes something simpler does the trick :) And I hope you have a wonderful Thanksgiving as well! I love this cowl. It will be perfect on those blustery, windy days, when a scarf gets blown around in the wind. Thanks for sharing your pattern. Have a great Thanksgiving. Did you knit this with double yarn, i.e. two skeins? Does it have to be done that way? Very nice cowl, would like to make it for my daughter. Would love to knit this but not familiar with Cascade yarn. Is this worsted weight? Sorry! just found the answer in your intro that worsted is what I need! I know, more information than you asked for :) But, like I said, I'm always happy to answer questions! I love the pattern, but my husband would like it very thick. I wiuld like to knit it using double strand (2 skeins ) of Plymouth Yarn Encore Tweed, worsted weight. What size circular needle would you recommend and how many stitches would you cast on? I made this for my son and it was the best pattern to knit up. It only took me 3 evenings of work and it's off the needles. I used a Paton's Canadiana and a 4.5 mm needle as that was what I had in stock. Sorry, I live in Canada and have no idea what 4.5 converts to. I hope your son loves his new cowl! Hi there - you used the Paton's Canadiana. I'm looking at it but notice it's approx 187m. Did you run out of yarn using this? Thank you for this pattern, I did it for my husband and I will post it on my blog with a link to your blog. Did you agree that I write the french translation of your pattern? Thank you! ave a nice day! I'm glad to hear you liked this pattern! My husband is still wearing his as well. :) And you are welcome to post a French translation of the pattern, as long as you link back to the original pattern in your post. Can't wait to see how yours turned out! I don't have a pattern for that at the moment, but that's a great idea! By a thumb hole, do you mean no thumb whatsoever (so the most literal version of thumb hole there is, I guess)? If so, I think the best way to make them would be to knit flat and then seam them. I would be happy to help you develop a pattern for that. Another possibility would be to knit them in the round, gusseting in a thumb as you went, and then not work the thumb any further than the gusset. Let me know which idea interests you more, and give me a general idea of your son's hand size (like if you think he's a men's small, large or medium, more or less). Then we can work something out together! I looked over your comments, and I just want to make sure I understand what you're interested in. You like the basic shape of the Cloverleaf Eyelet Fingerless Gloves, but you'd like them to have thicker palms and match the Sailor's Rib Cowl. I can definitely do that. If you're in the market for half-fingers, though, I'll have to help you find another basic pattern to modify. I am too lazy for fussy knitting, and I definitely consider fingers to be in that category! :) As far as the hat is concerned, I could again definitely help you out with a knit beanie design that matches the cowl, but I simply won't have time to design an adult balaclava in your time frame. I have some more of the yarn that I knit the cowl in, probably enough for both a beanie and fingerless gloves, so my first instinct would be to stick to worsted weight yarn. Let me know what you think! Okay, I'll work on the gloves first then! :) I have one other thing I need to finish first, and I'll try to get to those next. I knit up a test swatch with suggested worsted weight and needles and it was true. I did this flat rather than in the round as I wanted to try it as a scarf. I did the conversions for flat knitting on rows 1 and three to preserve the k1 tbl ond rows 2 and 4. That said, I notice my ribs if stockinette are not as clearly defined as yours. I did redo my swatch just to be sure I hadn't made an error. Suggestions? Gretchen, how is the writing of the pattern for the fingerless gloves to go with the sailor's rib cowl? My son is renting a sailboat with friends to sail around the Caribbean in January. I guess it will be warmer weather, but the cowl and gloves might come in handy. I still want to knit a hat/cap with the same pattern. I need a knitting project to work on with a group that meets just to knit and talk. Plus, I like to knit in the evenings while watching TV. 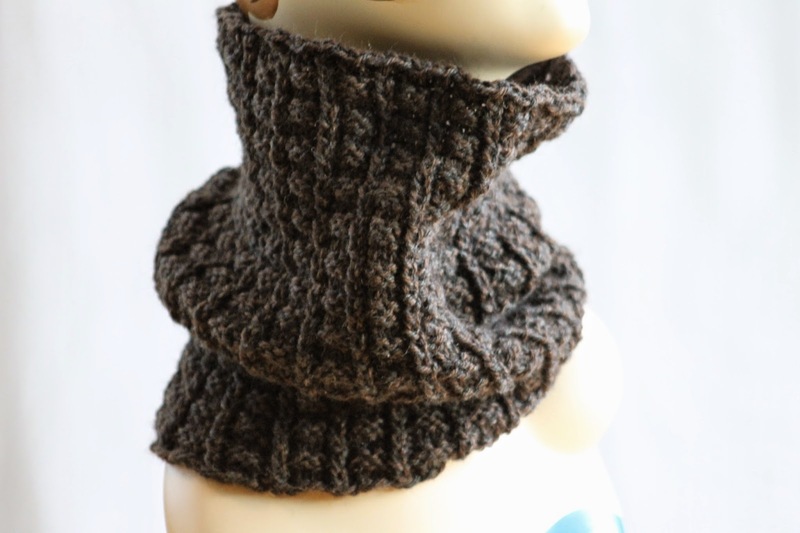 Hi, could you please advise how I adjust this cowl pattern for straight needles please? Knit rows 1 - 4 until piece measures between 8 and 12 inches, depending on preference (I stopped at 10"), and you've just finished row 2 of the pattern. Bind off loosely in pattern, seam, and tuck in ends. I'm really impressed about this sailor's rib cowl, and i'm so new to knitting! 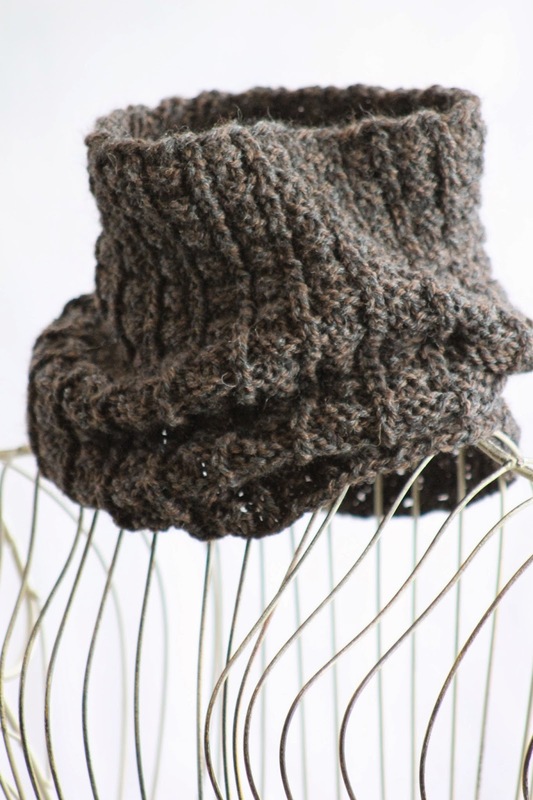 do you have a video for how to knit this sailor's rib cowl? if yes, then, can you please send me the link or the video? 1) you wrote "100 stitches" do you mean 100 stitches in a row? 2) are each row from the 4 rows repeat it self ? for example : raw 1: p1, k2, p1, k1, p1, k2, p1, k1 .....until i finish the 100 stitches? and then after we finish the 4 rows we repeat the 4 rows until piece measures 12 inches? I have started the first repeat, and the knit rib doesn't come out in a straight line as in the photo. Is there an adjustment? The knit rib always occurs on the 5th pattern stitch, so it should continue to line up. :) Does what you have so far look correct? I hadn't picked up my needles for a number of years, but my teenage son had some yarn and wanted a cowl and search for a pattern brought me to your page. This is an easy pattern to follow and the finished product looks great. He loves it! Thanks so much! I have to say I LOVE this pattern, and that you put a pattern up for straight needles!! I'm on my 4th one. Everyone wants one. Thanks again. I'm so glad to hear that the pattern is working out so well for you!!!! :) And please, let me know if you ever have any questions about any of my stuff. I'm always happy to help! Hi Gretchen. I just finished making this for myself and i love it. I can see in prvious comments that you considered making a pattern for a hat/beanie. Did you manage to complete this? Hi again! You can find a pattern below! :) Please let me know if there are any issues; I haven't knit it, and conceived of this one quite early in the morning so, while I think my math is right, I may just not yet be awake!!! Knit this ribbing row until piece measures roughly 2”. Transfer work to your size US 7 circular needle. Then we’ll move to our main pattern, as follows. Note that you can also skip the ribbing and start with the main pattern, although you will probably want to knit the first inch or two in a smaller needle size either way. 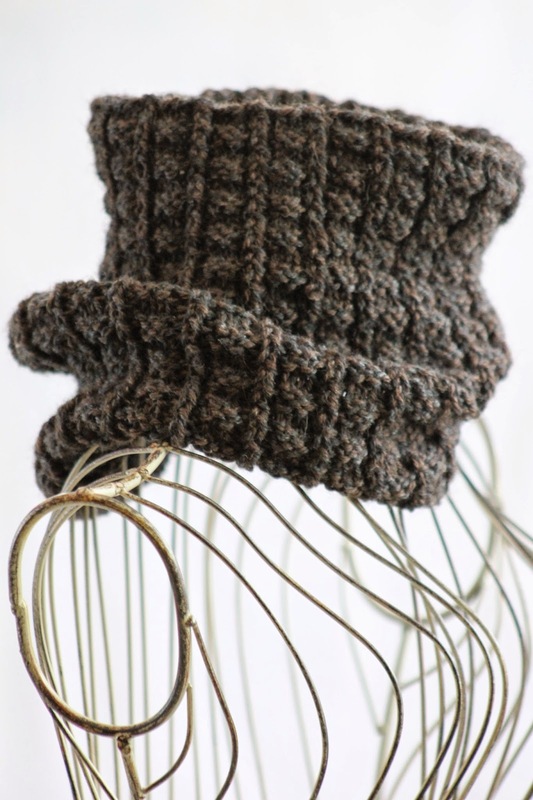 Knit rows 1 – 4 until hat measures roughly 5.5” (6.5”) and you’ve just finished row 4 of the pattern. Then work the decrease, as follows. Notice that transition rows are given separately for each size before the remainder of the decrease begins below. Oh, and remember to switch to your dpns once you’re getting ready to drop below 80 stitches! Clip yarn tail, thread through remaining stitches, and pull tight. Thread to inside of hat and knot; tuck in ends. Thank you so much for the hat pattern! I am currently knitting cowls and hats for a Mongolian charity. 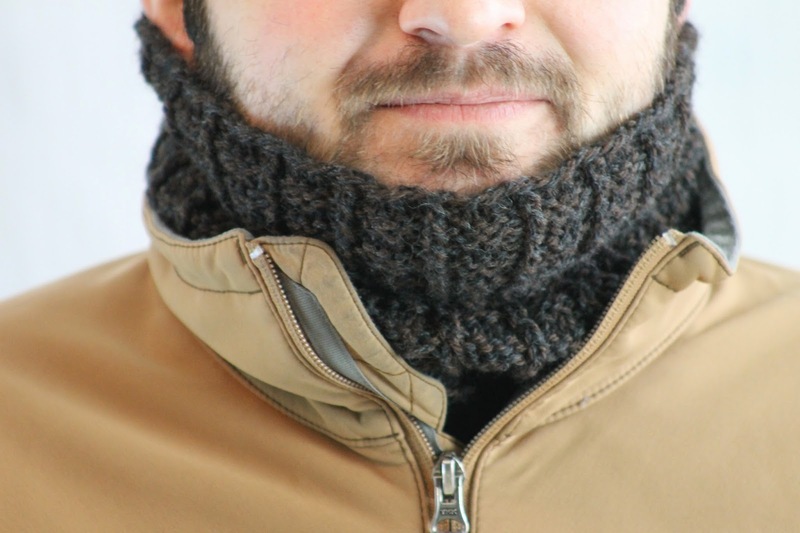 The need is for warm, dark colored cowls as opposed to scarves because they can be pulled over the face. 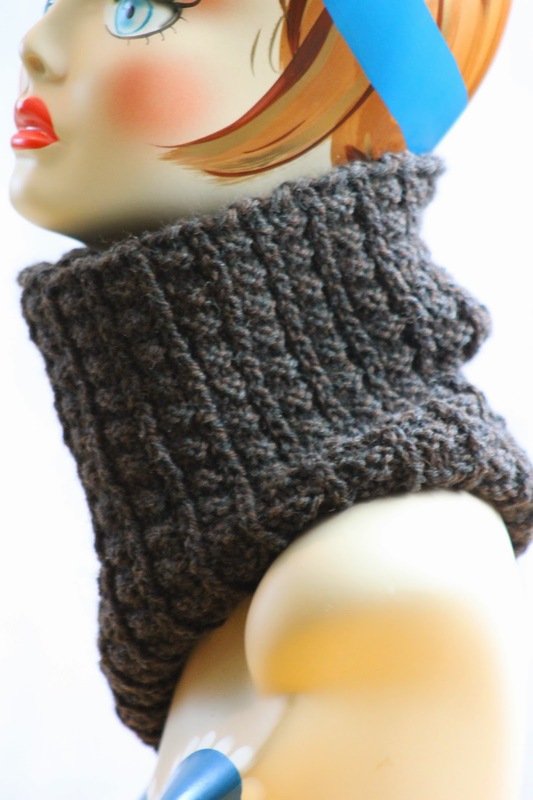 I found this pattern and I loved that it has some character to it, yet it is a fairly quick Knit. Now that I have the hat pattern, I will be making more pairs. Just to let you know that I've blogged about your knitting pattern being involved in the AllFreeKnitting Father's Day Knitting Pattern competition (my pattern is in it too). You can see the post at http://littletheorem.blogspot.co.uk/2016/06/fathers-day-competition.html. Really love your pattern by the way, love a textured stitch pattern! 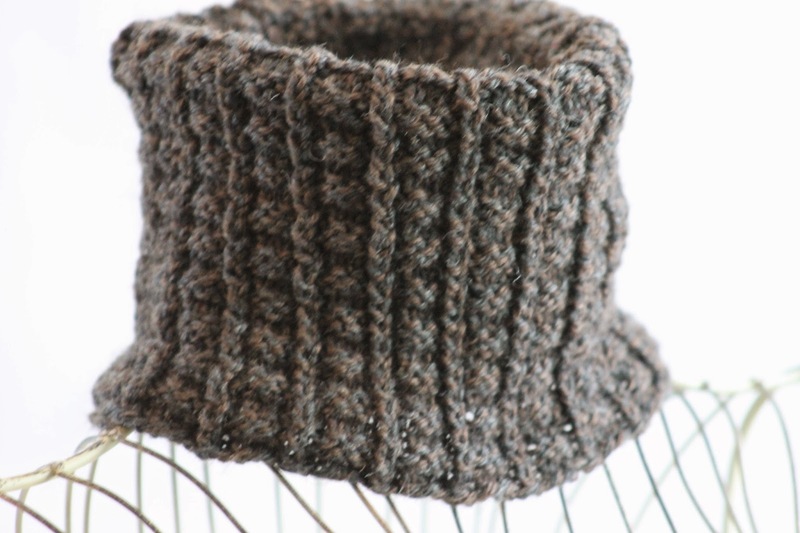 found you the other day when i was looking for "standard" heights for cowls and i fell in love with this cowl!! i asked my husband and he says he will wear one so this is going to be on my needles soon. thanks so much! 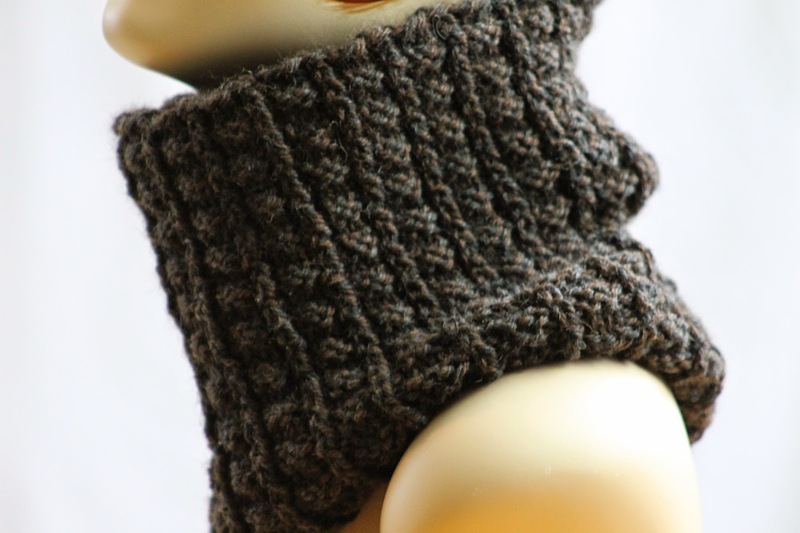 Hi there, I'd love to knit this cowl for my bf, but was wondering how hard it would be to make fingerless gloves to match? Do you have any suggestions? Pew, pew, pew, pew (that was supposed to be finger guns. Let's just pretend it never happened)! J'adore votre modèle avez vous les explications en français? Cette modèle est à peu prés 51 centimètres en cercle, mais c'est aussi très élastique. Si votre échantillon est différent de le mien, dites-le moi et je peux suggérer combien de mailles à monter! I love this cowl and the pattern is really nice. But I want ot knit this for 2 toddler girls ( 2 and 5 years old), so I'm looking for the softest yet chunkiest yarn, because they hate my Lion's Quick & Easy chunky yarn, it stings them they say. I want to invest in a pricier yarn for its softness. What would you recommend please ? Have a great day ! That's easy!!! If I'm spending money on yarn, I'm spending it on Malabrigo!!!! :) I think the Mecha is the chunky one... And oh so pretty!!! Thank you!! And for answering so quickly, now I can take my project along to work today! I am making napkin rings with this stitch. Which side is the front side? Well, then, for your sake I hope he only has one or two friends... ;) And I'm glad you like the pattern!!! OMG i just found your pattern. So the last row will end on Row 2? DO NOT end on Row 3 or 4 correct? I cant wait to do this!! MUAH!! Did you make a hat to this? I would really love a hat! FABULOUS PATTERN DARLING! This may be really dumb - but when you say K-TBL - is that only TBL or knit through the front and then knit through the back also as to increase? First off, there's no such thing as a stupid question! :) And I just mean to knit the stitch through the back loop, not to perform an increase. That twists the stitch and makes the column of stitches look tighter! Thank you for response and context - good to know! Can't wait to try this! Hello Gretchen! I LOVE this pattern and thank you so much for sharing this with us! I am not a huge round knitting needles person so I was wondering if it was possible to do it on straight needles? The only thing I am questioning is what would happen to the k-tbl. THank you so much! Hi Gretchen! Thank you so much for your speedy response! Can't wait to get started!